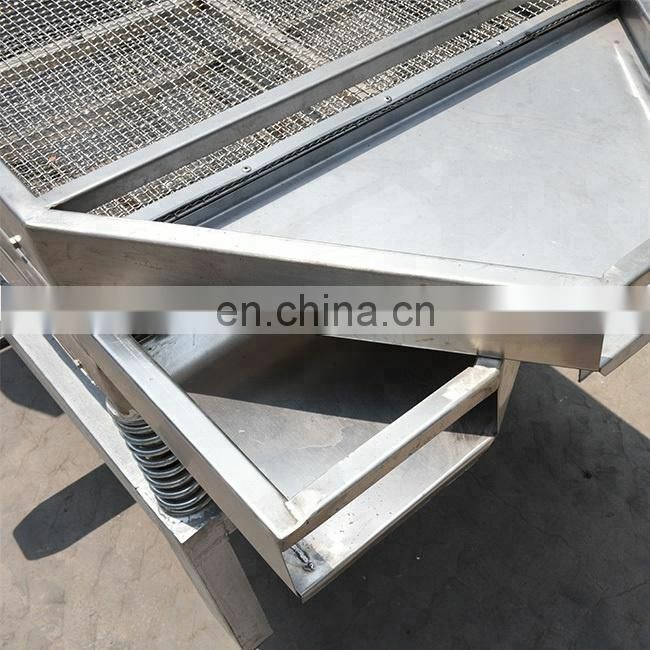 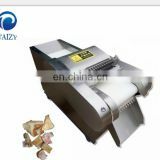 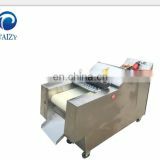 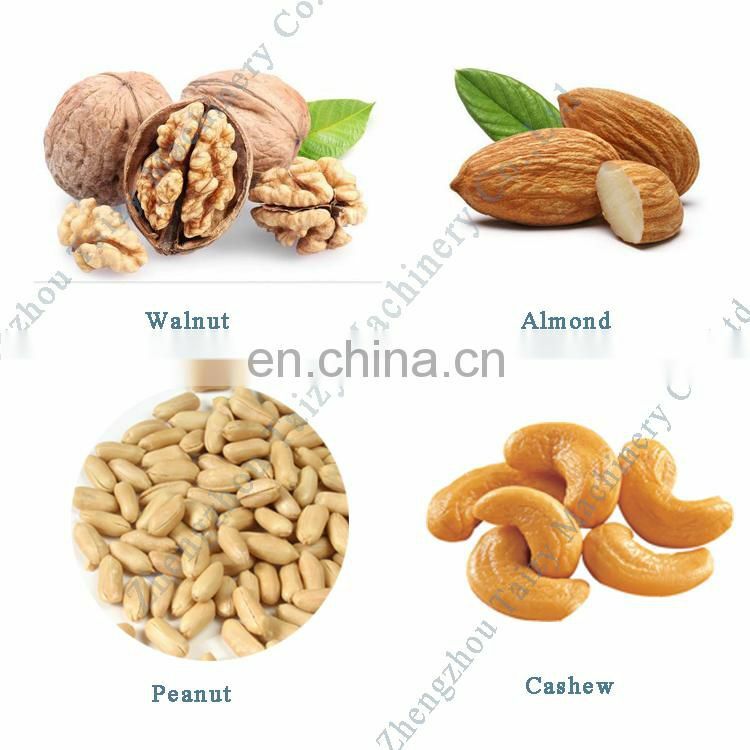 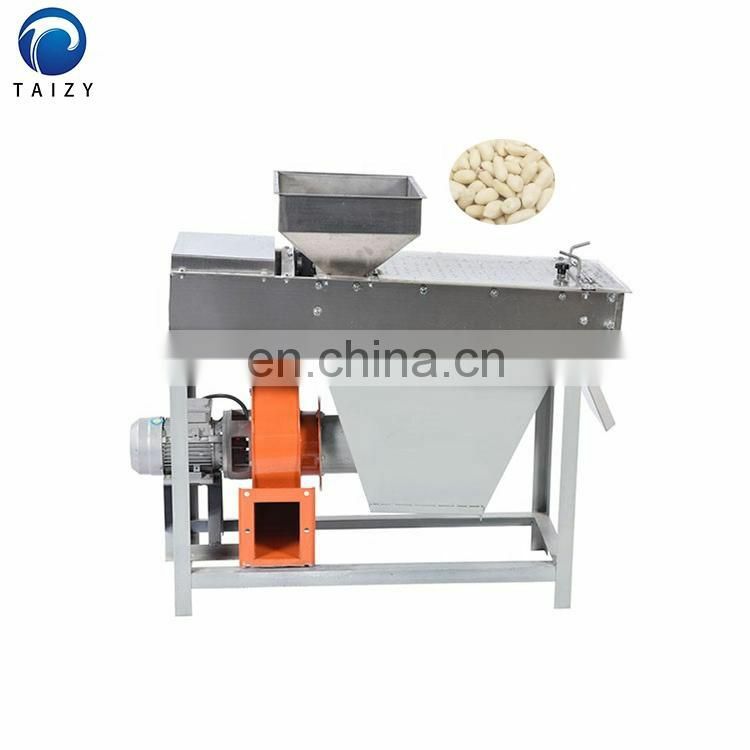 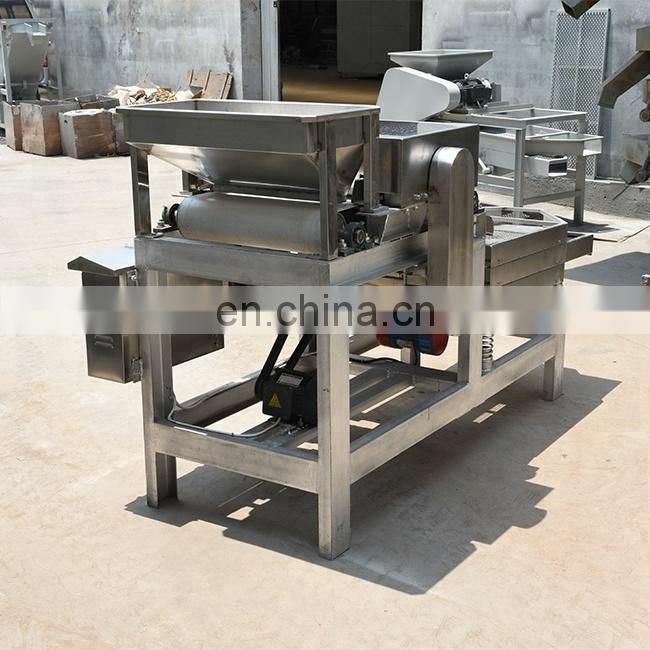 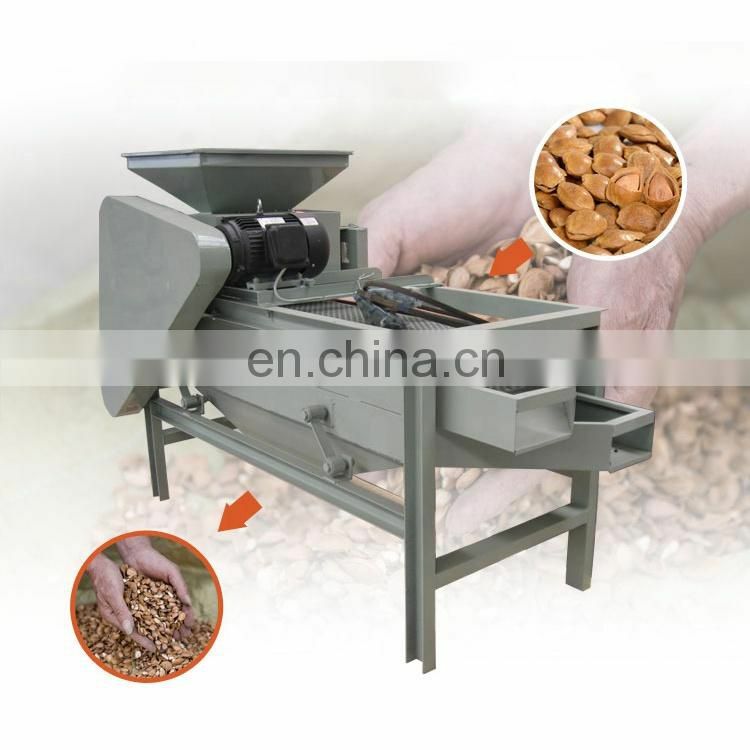 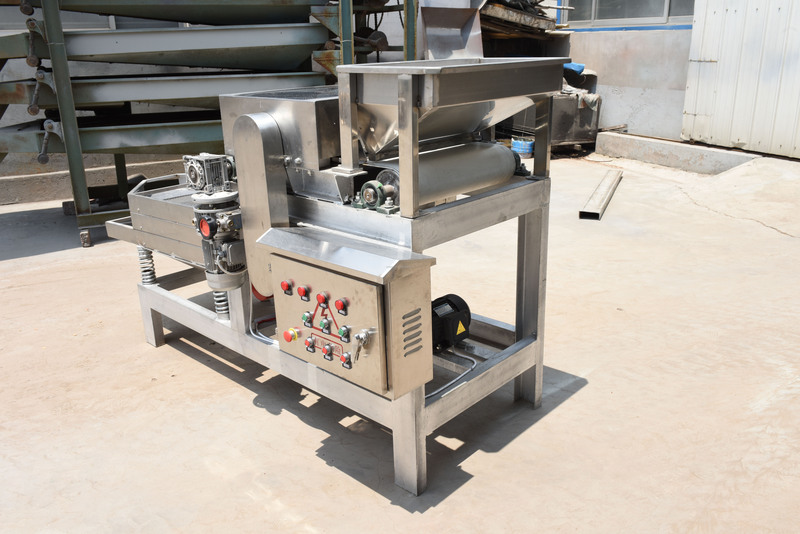 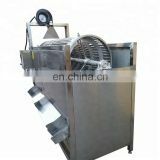 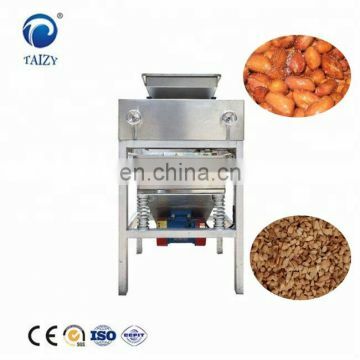 This nut crusher machine is mainly used for processing all kinds of roasted nuts (such as peanuts, almonds, walnut, hazelnut, chestnut and so on) .It is equipped with three different-size screens ,completing chopping and classification. 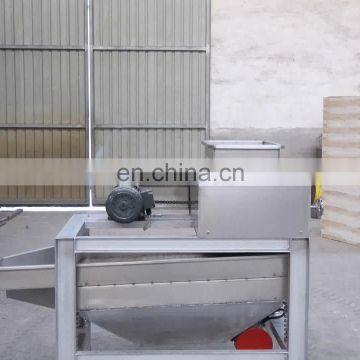 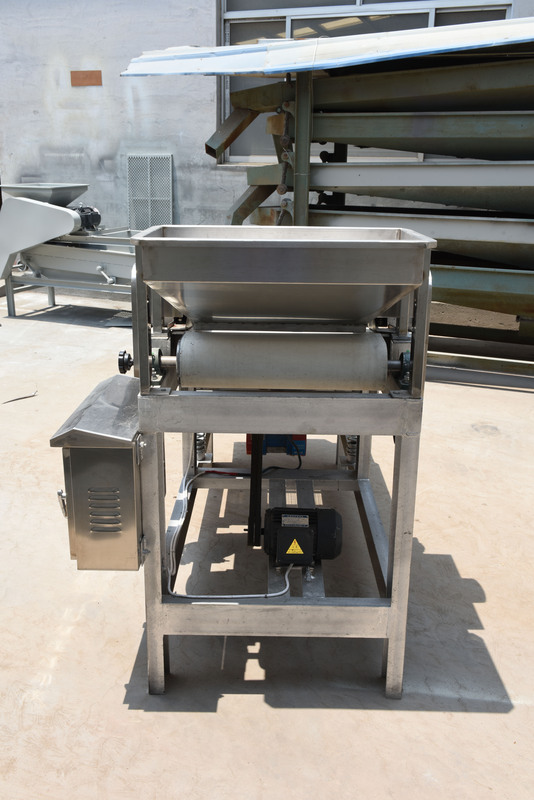 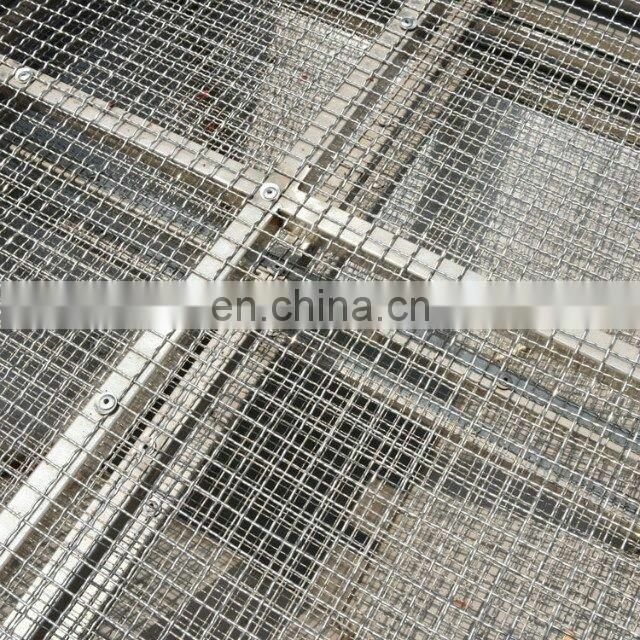 You can change the speed of feeding conveyor to meet your demand specifications.The gap between cutters can be adjusted to realize cutting different specifications of materials. 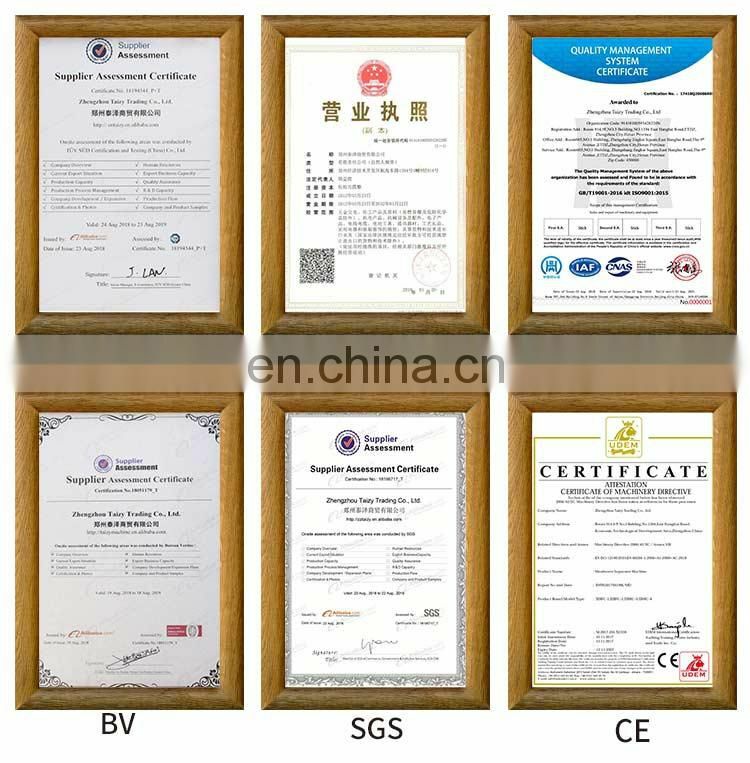 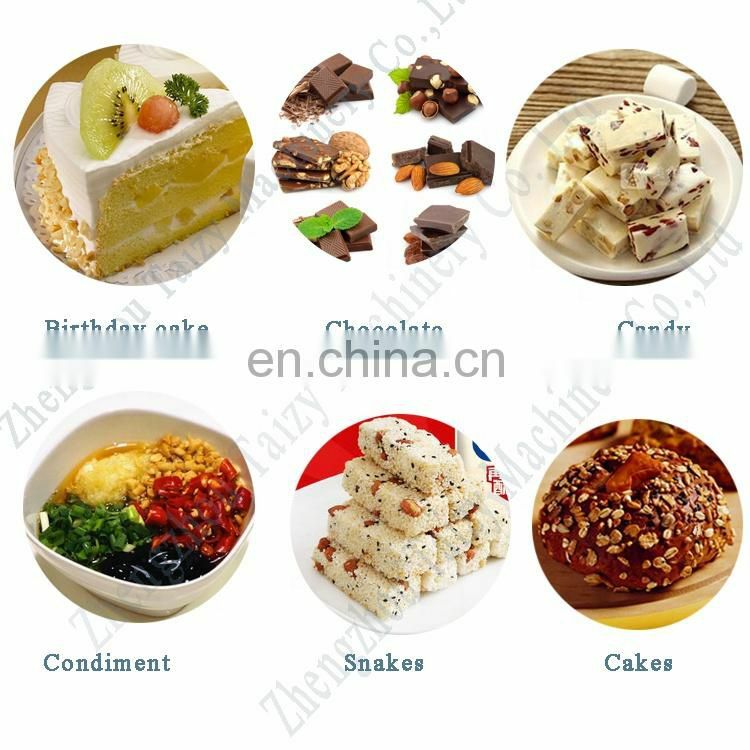 We have two different types ,you can choose the best suitable size for yourself . 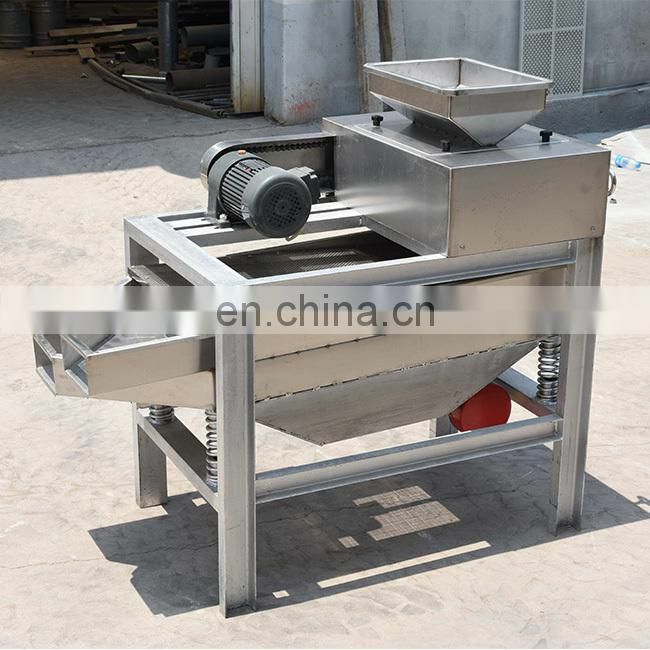 1)This machine has a high output and low noise, processing uniform particle size , meeting your high quality requirement. 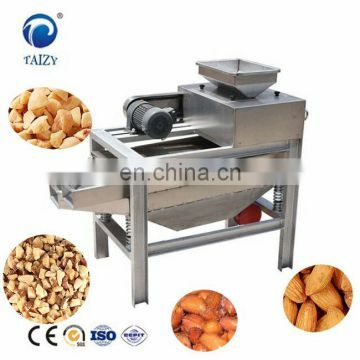 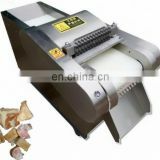 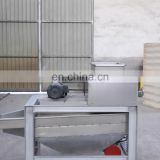 2)It could be used for chopping of peanut kernels or other nuts .Just one machine could produce all kinds of nuts. 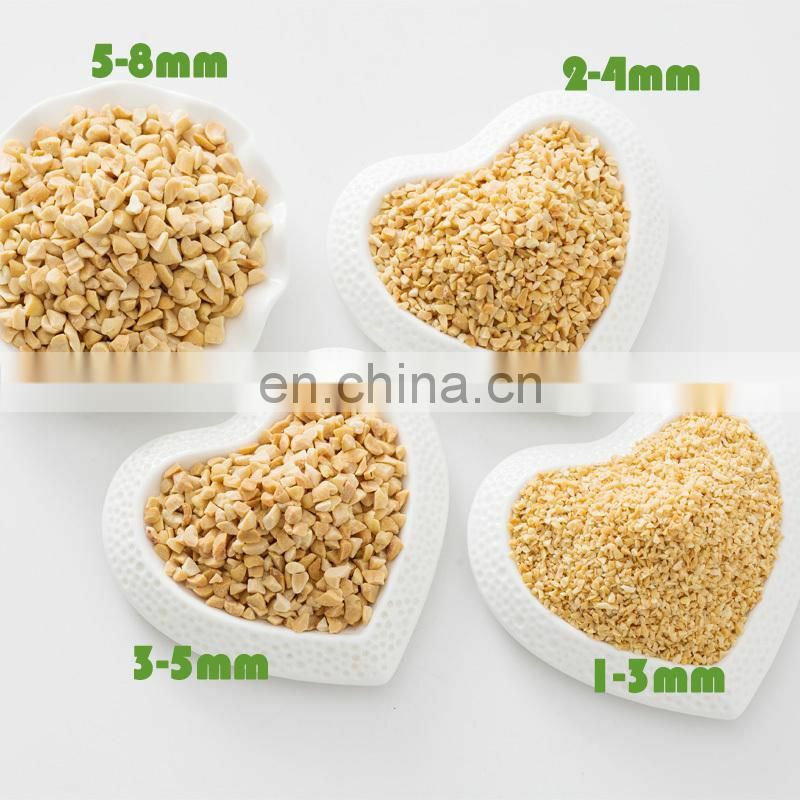 3)Three different specifications meet different required sizes. 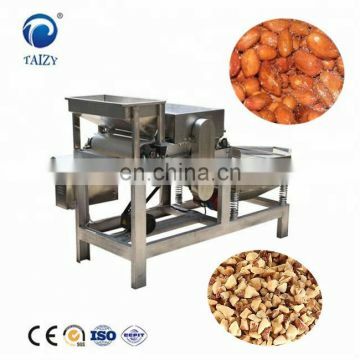 4)Reasonable design,easy to operate,save energy.It's indispensable for you to process kernels. 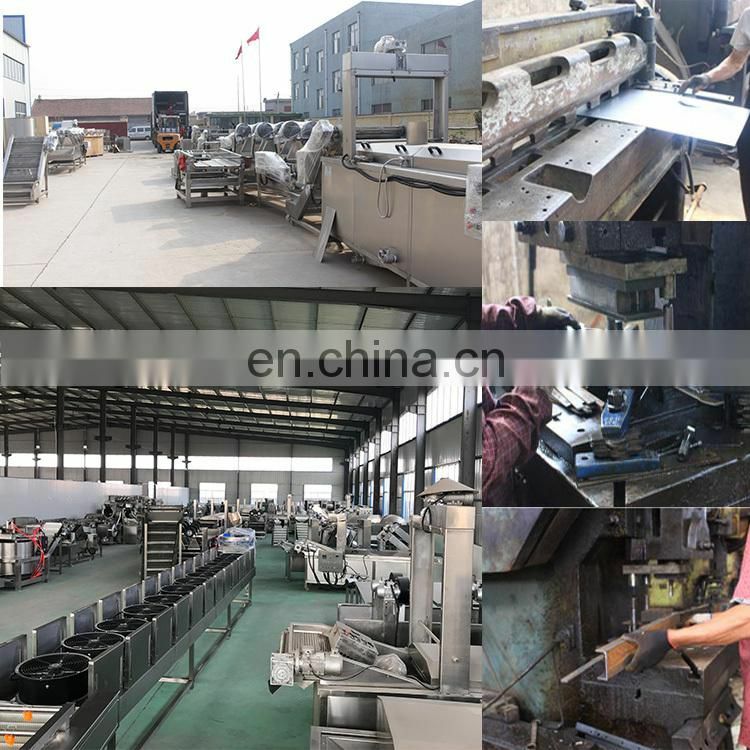 We have two different model machines .Different model can be customized for your ideal requirement.Our machines are well-made and durable. 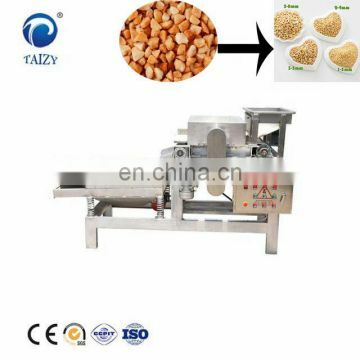 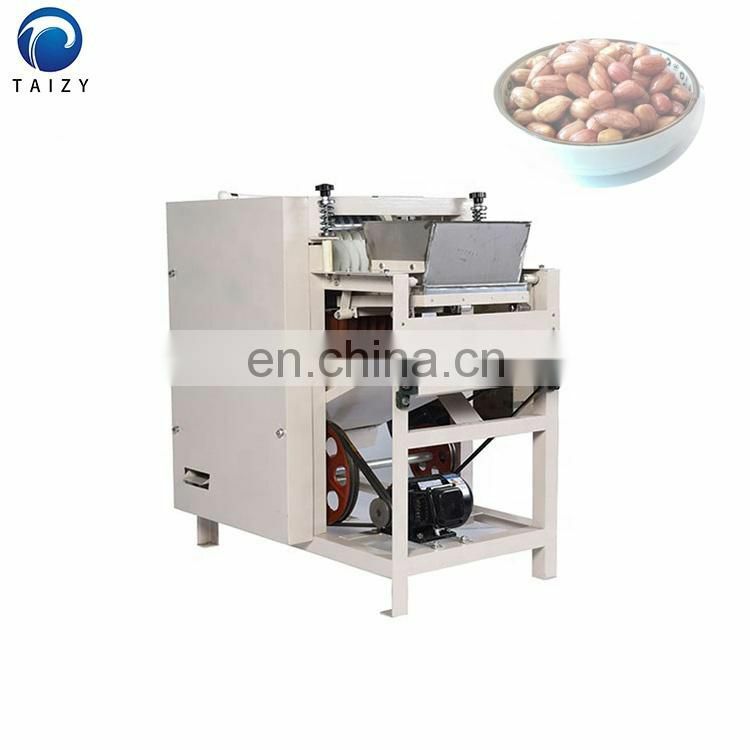 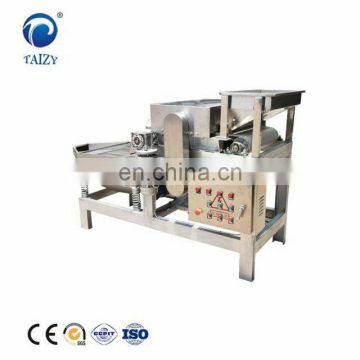 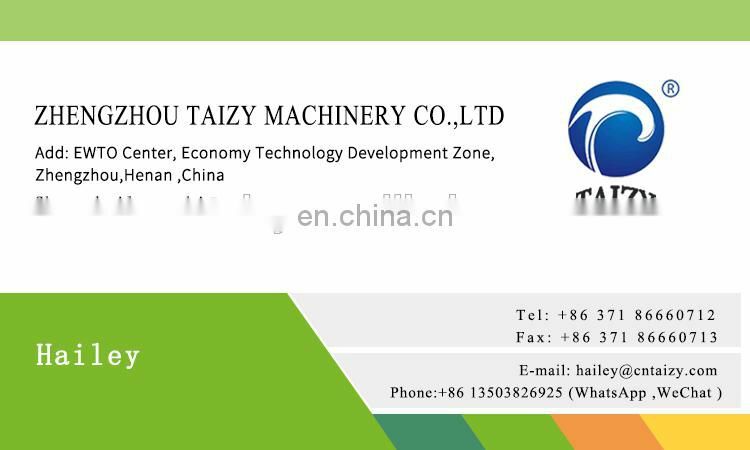 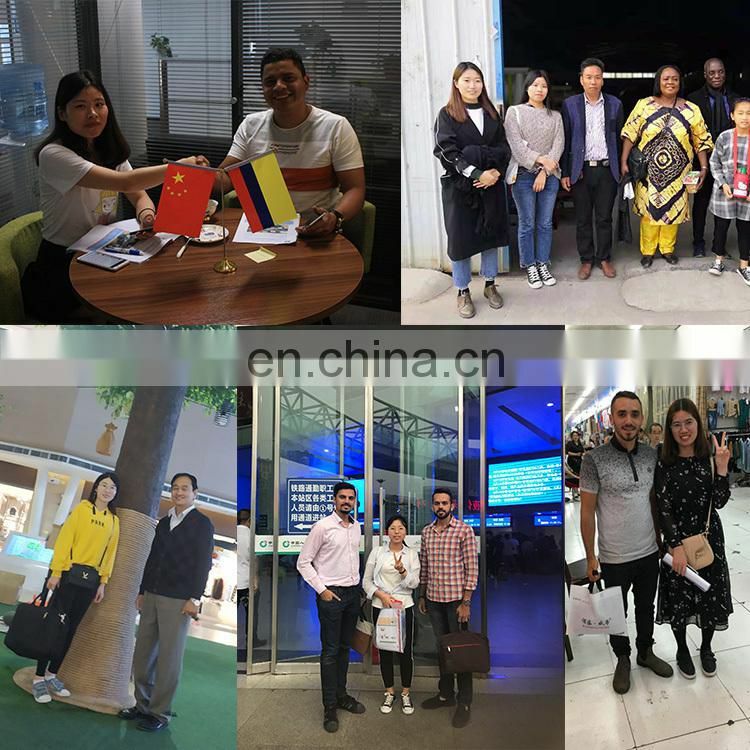 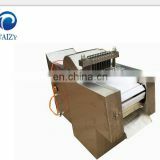 Taizy's company is specialized in producing, selling and serving food processing production lines. 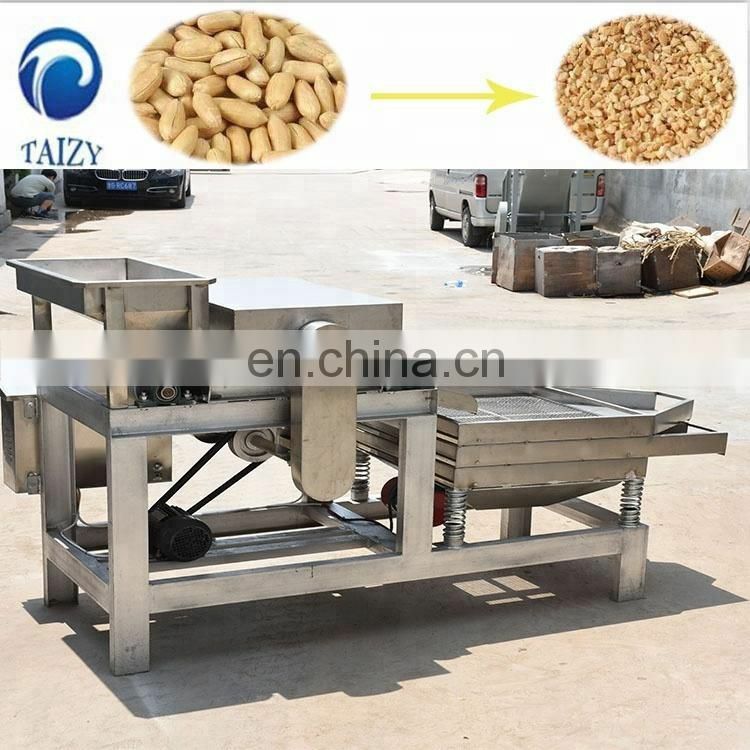 Our compan main machinery such as: potato chips,banana chips,peanuts, walnuts, almonds, cashew nuts and pine nuts production line; macadamia nuts, chestnuts, pistachios, ginkgo, acorns, cocoa beans, castor beans, sesame processing machine; various nuts butter making machines, nuts roasting machines, vegetable and fruit machine,washing machine,frying machine,oil press machines, packaging machines, etc. 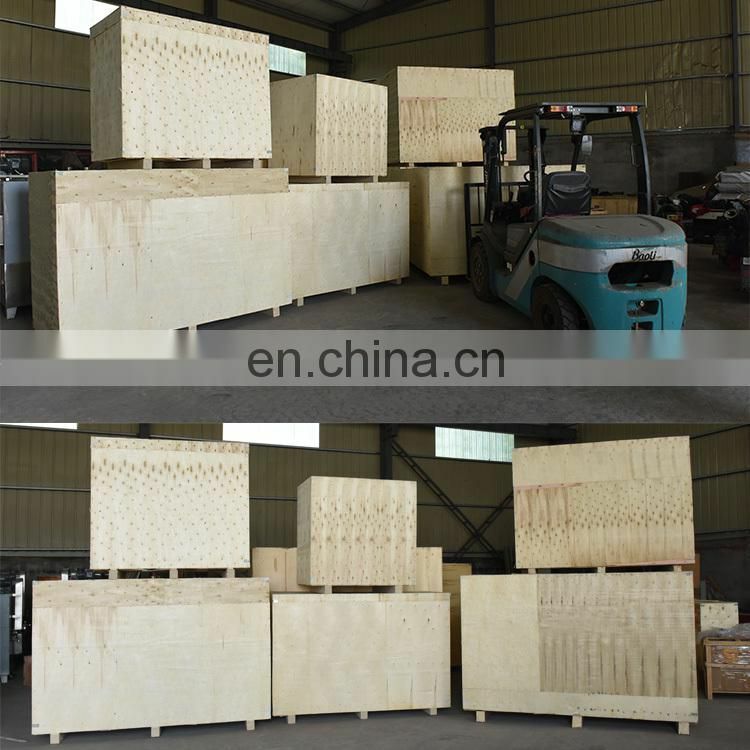 We will ensure that your orders are in perfect condition ,and deliver goods as soon as possible . 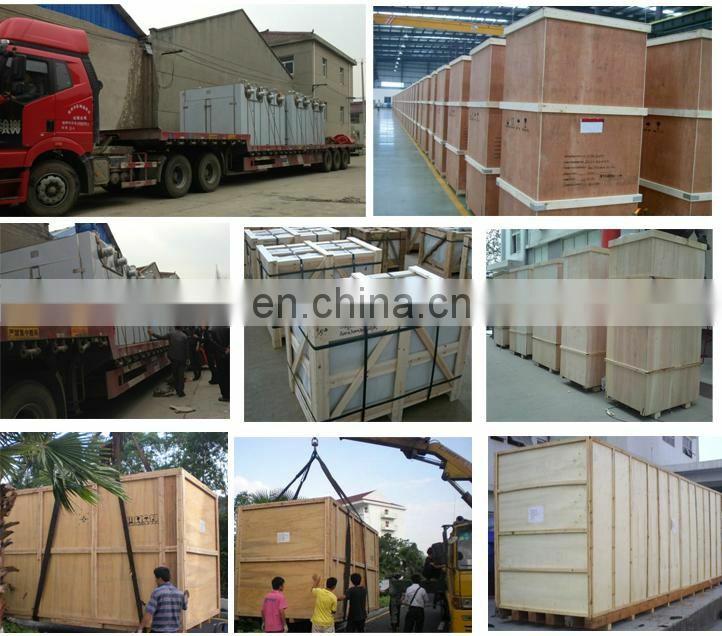 All the goods are packed and examined by us carefully .